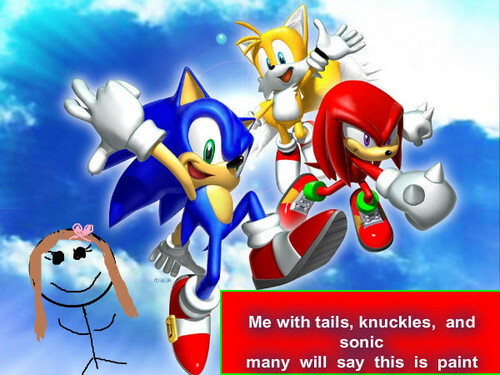 me with tails knuckles and sonic many will say is paint. look i was in sonic heroes i have this pic of me sonic knuckles and tails jealous?. Wallpaper and background images in the Sonic the Hedgehog club tagged: sonic tails knuckles me.